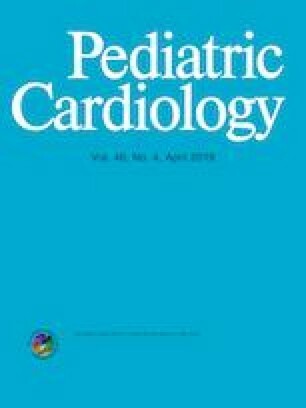 This report aims to summarize and evaluate the efficacy and experience of reintervention for children with postoperative pulmonary venous restenosis. Clinical data from 61 patients with postoperative pulmonary venous restenosis who underwent reintervention at Shanghai Children’s Medical Center (SCMC) from September 2009 to June 2018 were retrospectively analyzed. The patients comprised 38 boys and 23 girls, with a mean age of 15.4 ± 12.6 months (2-83 months) and a mean weight of 8.1 ± 3.4 kg (3.7–18.5 kg). The mean pulmonary venous velocity was 2.31 ± 0.47 m/s (1.86–3.22 m/s). Primary disease included 48 cases of total anomalous pulmonary venous drainage, nine cases of partial anomalous pulmonary venous drainage, and four cases of primary pulmonary venous stenosis. The reintervention procedures included 34 cases using the sutureless technique, ten cases using bovine pericardium enlargement, three cases using blunt enlargement, four cases of balloon dilatation, one case using stent implantation and nine cases involving more than two surgical methods. The early postoperative pulmonary venous velocity was 1.16 ± 0.20 m/s. There were five in-hospital deaths, resulting in a mortality rate of 8.2%. Fifty-six survivors were followed for 52.8 ± 46.5 months (6–103 months) with no delayed deaths. Echocardiography showed pulmonary venous anastomosis and diameter growth after reintervention, exhibiting a mean growth speed of 0.026 ± 0.013 cm/month (p < 0.05) and a mean velocity of 1.24 ± 0.26 m/s; five patients experienced varying degrees of pulmonary venous obstruction (> 1.6 m/s), but did not require reoperation. Postoperative pulmonary venous restenosis is a common complication after surgery for pulmonary venous malformations. Reintervention should be performed in the early period of pulmonary venous obstruction. Growth of pulmonary venous anastomoses was observed after performing the sutureless technique, bovine pericardium enlargement and blunt enlargement. Although balloon dilatation has a good effect in the early postoperative period, its restenosis rate is high, and strict mid- to long-term follow-up is needed. The study was supported by the National Key Research and Development Program of China (Grant No. 2017YFC1308103). The authors declare that they have no interests to disclose.